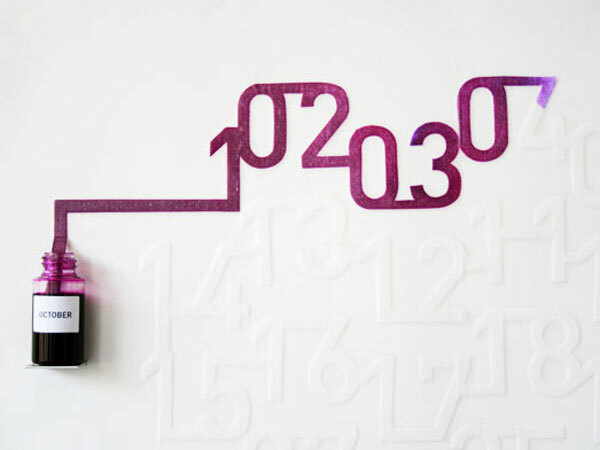 the ink and paper calendar by oscar diaz studio, uses the passage of time to update the calendar. the ink is absorbed by paper over time, "printing" new numbers each day, so that at the end of the month , the paper is filled with ink. a beautiful way to mark the passage of time. thanks b for the link.